Happy Friday, Friends! Today's post is featuring another fun scarf worn two ways. I absolutely adore this scarf. It is amazing, and I've actually ordered it as a gift for a few people on my list this year. 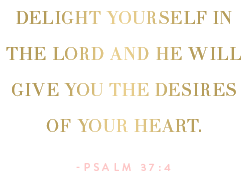 It is under $40 and comes in four colors! It is the cutest with the tassels, making it perfect to be worn around your neck or over your shoulders for a poncho look. It is so cozy and surprisingly light weight (for its size). I also have to draw attention to these amazing statement earrings I'm wearing here! I don't think I've ever been more obsessed with a pair! How perfect are they for all of the festivities of the Christmas season and New Year season?! Expect to see them on here multiple times, because I just can't stop wearing them :) They (along with my monogram necklace) are currently 25% off when you purchase 2+ items by entering the code GIFT25 at checkout. Who else is excited that the 25 days of Christmas movies has officially begun? I know I am! Tonight, the Polar Express comes on at 9:20. I absolutely love this movie. I remember seeing it in theaters when it came out years ago and didn't care for it all that much. But I watched it again last year and fell in love with it (and cried like a baby at the end). Something to do with having Madeline and seeing the magic of Christmas in her eyes made me realize just how sweet the movie is. Also, Elf comes on tomorrow evening at 8:50! Get excited :) What Christmas movies do you look forward to the most? Head to toe I'm in love with this outfit! That scarf is a MUST have and such a nice refreshing style to see after all the plaid blanket scarves in my feed this season! Loving that oversized sweater, looks so comfy! This scarf is so cute! Love the tassels! That scarf is so pretty and original! And I love Elf and Polar Express, they're some of my favourite Christmas movies. I also really like Love Actually and How the Grinch Stole Christmas. I love the polar bear express too! Yay for 25 days of Christmas movies!! I adore this outfit :) The red scarf is a lovely statement piece! Pinned! I always feel like I can't pull off statement earrings but they look good on you! Thanks for the outfit inspiration. Such a gorgeous red scarf! Love that it comes in four colors too! I cry during every Christmas movie lately I think but especially the polar express haha. Love the scarf! 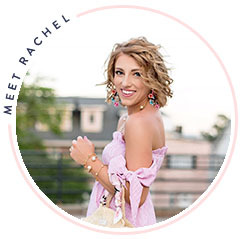 I LOVE this outfit on you, Rachel! Your scarf is so fun and I love your tote bag! Love the scarf and those boots! 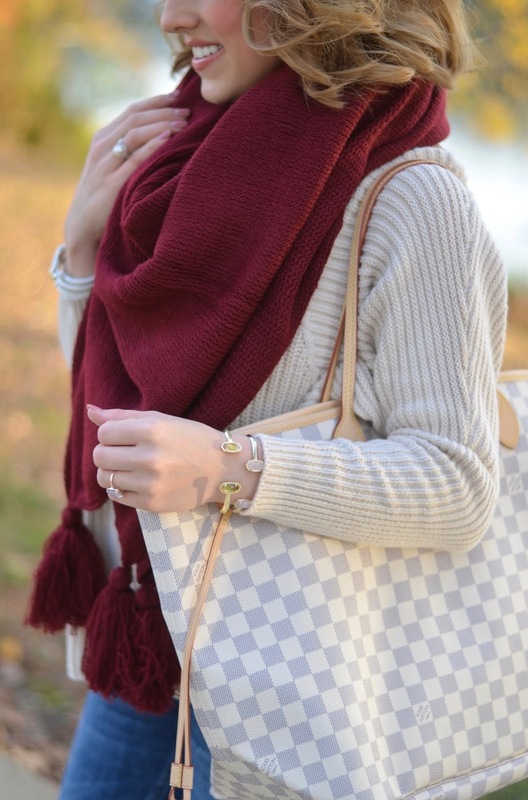 Adore the tassels on the scarf! You look so stunning! I love that scarf it looks so comfy and cozy!! I absolutely LOVE your scarf! It's sooo pretty! This scarf is so gorgeous! Perfect for the holiday season & great photos. I am so obsessed with the giant tassels on that scarf-it's stunning, & like you said, it would make a great gift! That scarf!!! I'm obsessed--- definitely buying in at least two different colors!